My friends will tell you that there was a time that my food was a little….bland. 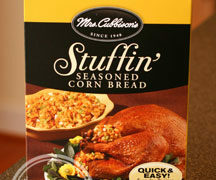 They would always need to add salt or pepper (usually both) to give my food that little kick that was so often lacking. I’ve been learning to add more seasoning to my cooking, to give my food that little boost in flavor that takes it from eww to yum. One trick that I just learned was how to use Nakano Seasoned Rice Vinegars to provide tons of flavor without tons of calories. 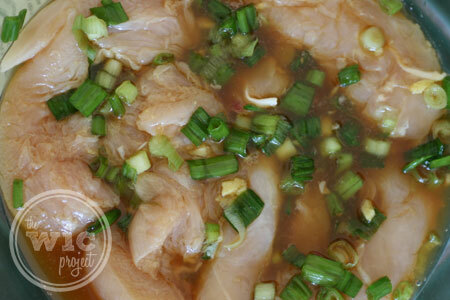 In a large bowl, toss chicken with rice vinegar, green onions, ginger, soy sauce, ½ teaspoon salt and ¼ teaspoon pepper. Chill 30 minutes to 8 hours. 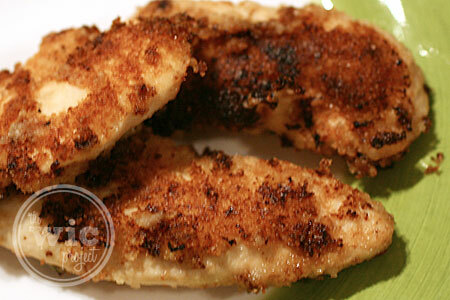 Dip chicken in bread crumbs; chake of excess. Heat 2 tablespoons oil in a nonstick skillet over medium-low heat. Cook ⅓ to ½ of the chicken without crowding until no longer pink in center, about 2 minutes per side; drain on paper towels. To say that these Asian Chicken Nuggets were good would be an understatement for me. These were the first chicken nuggets I’d ever eaten that were so flavorful and so moist that I didn’t need a dipping sauce. Inconceivable! I ate them straight off the frying pan (after letting them drain first) and found them the perfect bite. You could taste the sweetness of the ginger and garlic from the Nakano Seasoned Rice Vinegar, as well as the hint of tang from the vinegar and onions. Quite simply, these were amazing and were so easy to make. First, mix the chicken, vinegar, green onions, ginger, soy sauce, salt and pepper in a bowl and let it marinate for 30 minutes to 8 hours. Typically the longer the better, but I waited just 1 hour and the flavor was still amazing. 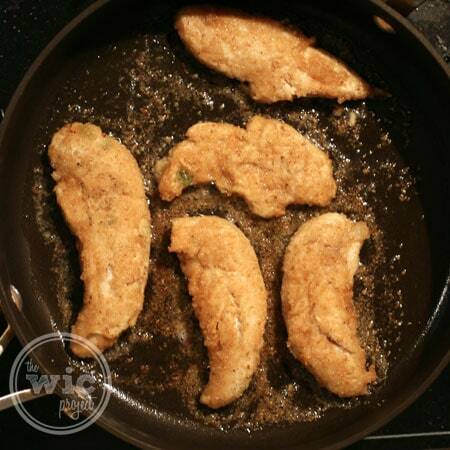 Then bread the chicken and put it into the skillet with oil, cooking both sides of the chicken. I was so impressed by how well the flavors permeated the chicken and how they all blended together to create a nugget that was sweet, savory, and tender. Your family will definitely love these. You’ll love that you’re able to serve something so flavorful that is also low in calories. Nakano Seasoned Rice Vinegars have no fat, no preservatives, are all natural, and are gluten-free. As you might guess from the name “rice vinegar”, Nakano Seasoned Rice Vinegars are made with real, whole-grain rice using a traditional brewing process. Nakano wants you to know how Nakano Seasoned Rice Vinegars are a great way to add flavor to your food without adding any fat, without packing the calories of some other condiments. You can splash it on salads, vegetables, fries, and other dishes to give them some zing! To encourage us to make healthy lifestyle and eating choices, Nakano has issued the Nakano 60-day Splash it on, Step it up Challenge, where you can find fun health and fitness tips, such as using Nakano Seasoned vinegar instead of butter to save 80 calories and 11 grams of fat. As part of the challenge, they are also offering a sweepstakes with three awesome prizes up for grabs, including 1 year of free gym membership, six personal training sessions, and a large gym bag packed with Nakano branded workout gear. If challenge participants walk 1,000,000 total steps, then Nakano will give away another free gym membership! Sign up for the Splash Recipe Club to gain access to more recipes and features, plus a chance to win $150 each month! Nakano Seasoned Rice Vinegar, a fat-free, low-calorie and versatile product, enhances any of your favorite recipes and dishes. Instead of slathering food in heavy dips, use zesty Nakano rice vinegar to add taste without paying the price in calories and fat. Nakano Seasoned Rice Vinegar comes in many delicious flavors, including Original, Roasted Garlic and Red Pepper. Disclaimer: I wrote this review while participating in a campaign by Mom Central Consulting on behalf of Nakano and received a product sample to facilitate my review and a promotional item to thank me for participating. MUST TRY IT LOOKS AND SOUNDS GRETA…. Great review — I’ve tried this stuff and it’s great! 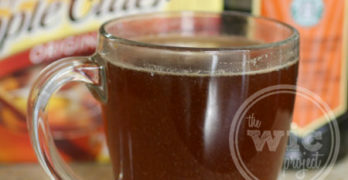 Recipe sounds yummy~I’ve seen those rice vinegar bottles in the store but had no idea how they were used. Thanks for the great review and for the recipe. I’m going to have to pick some up. This sounds like a delicious and easy to make recipe. mmmmmmmmmmmm this sounds so good and I always wondered what you would do with these seasonings when I’ve seen them in the store! 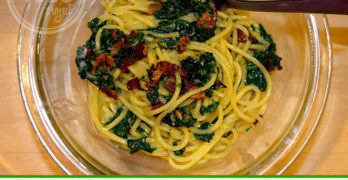 Plus this would be super easy to make vegetarian!